During the 2017-18 academic year, I’m going to be teaching the Scottish SQA Higher Mathematics qualification (http://www.sqa.org.uk/sqa/47910.html) for the first time. Before I start, I’ll be copying the learning outcomes for this syllabus over to Moodle because, once that’s done, I’ll easily be able to track my students’ progress and achievements as they advance through the course. In this blog I’ll be describing how. To download the SQA Higher Mathematics ‘Analysis Grid’ click here. Essentially, this document lists learning outcomes – that is the outcome from a particular chunk of learning. If a student is both knowledgeable and competent in all the aspects of maths outlined in the SQA’s analysis grid then, barring any slips they might make in the exam, they are pretty much guaranteed to do well. The analysis described in the official SQA document will form the basis of our new Moodle competency framework. Competency frameworks are hierarchical: each of the outcomes can be broken down into futher levels. How outcomes are broken down is referred to as the ‘taxonomy’. In Moodle, you can have up to four levels in the taxonomy – with Moodle allowing us to describe each level by one of a variety of different descriptors (i.e. they could be “Competency”, “Behaviour”, “Concept”, “Indicator”, etc.). All of my levels are essentially competencies. For example, at the highest level, we expect our students to be able to handle composite functions. That’s Level 1 of the taxonomy. But composite functions take many forms so there is at least a second level: trigonometic, logarithmic, exponential and algebraic. Students may well be competent handling trig functions but not logarithmic ones. Finally there is a third level: “knowledge and use of the terms domain and range is expected.” – note that this final level does highlight an important consideration: “knowledge” and “use” are two very different concepts – “knowledge” describes what you are supposed to know and “use” describes what you are supposed to be able to do. When creating your own competency frameworks in Moodle be aware of this difference when structuring the taxonomy. Check out the Moodle documentation here for full details on creating new frameworks. You’ll need the correct permissions to create a new framework – if you’re not sure you have the right privileges then have a word with your Moodle admin. From the Competencies page, click on the “Add a new competency framework” button. Give your new framework a suitable name and description and choose a scale. For me, my students are either competent or they aren’t so the default competence scale (“Competent” or “Not yet competent”) is suitable. If that isn’t going to fit your needs then new scales can be created. Once the framework is created we can add competencies. 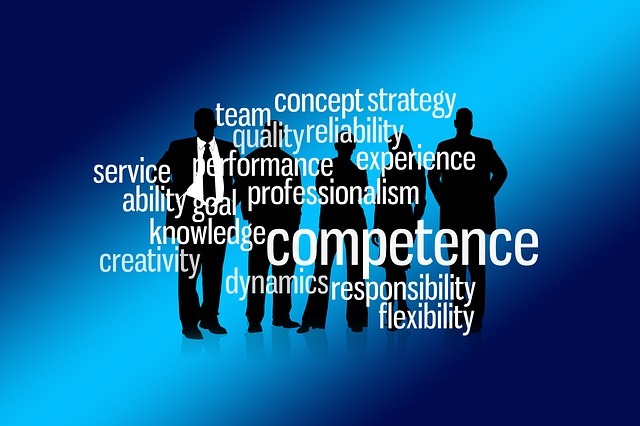 Click on the name of the framework to display the ‘Competencies’ page. We can cut-and-paste the learning outcomes from the SQA’s Analysis Grid document. Remember that competencies are hierarchical so we can construct the different levels in the framework like a tree (which is how they will be displayed on the Competencies page). If you have a multi-layer taxonomy then you can have a competency automatically marked as complete if all of its children are complete. In Moodle this is called a Competency Rule. Competencies can be set without having to associate them with activities – see the Moodle documentation here for details. Do you use competency frameworks to track learner progress? If so then we’d love to learn more. Ian is based in the UK and is an experienced software developer, solutions architect, author and educator in the Maths and Science area.He also wrote the Moodle Developers eBook. Ian is based in the UK and is an experienced software developer, solutions architect, author and educator in the Maths and Science area. He also wrote the Moodle Developers eBook.